I’d do a lot for my kids and it seems that getting up at 5am to drive them to a secret location in Cheshire turned out to be one of those things *yawn*. We were so very excited when Scarlett got a callback to say she had done really well at a recent audition for The Worst Witch and she started shooting in 3 weeks! Cue a whirlwind of form filling, photographs, costume fitting and begging for time off school. Jill Murphy first wrote The Worst Witch book in 1974, gaining a cult following the world over. The story and subsequent books focus on Mildred Hubble, a young witch who’s adventures and friendships are always talking points, there’s never a dull day at Miss Cackles Academy for Witches. Arriving on set was magical, at least that was what I was told, even though we could help ourselves to breakfast in the catering trailer, it was quite obvious that all parents, pushy or otherwise, should leave now. Telephones and iPads were strictly forbidden and absolutely no photographs were to be taken otherwise it was a one way trip back home. Scarlett said that the sets were brilliant and with so much attention to detail felt very ‘Witchy’. Having already seen the first episode I can see why they wanted to keep the mystery until showtime. So many people that I have spoken to about this have very sweet memories about either reading the books as a child or being read to. The effect that any good book can have on you can last forever and those who read these books the first time around are now buying the books for their own children and now to be able to visually see the world that Mildred, and Maud her best friend, live in is truly magical. 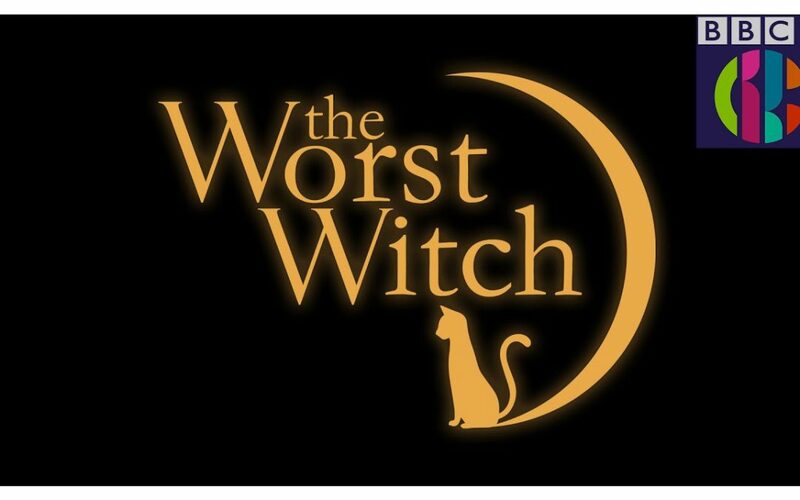 Tune in to CBBC on Wednesday 11th January at 4.30 to see the first episode of The Worst Witch and immerse yourself in a world of magic, friendship, fun and more. See if you can spot TMK junior Scarlett (you can’t miss the long red hair). Oh, and there’s lots and lots of cats! 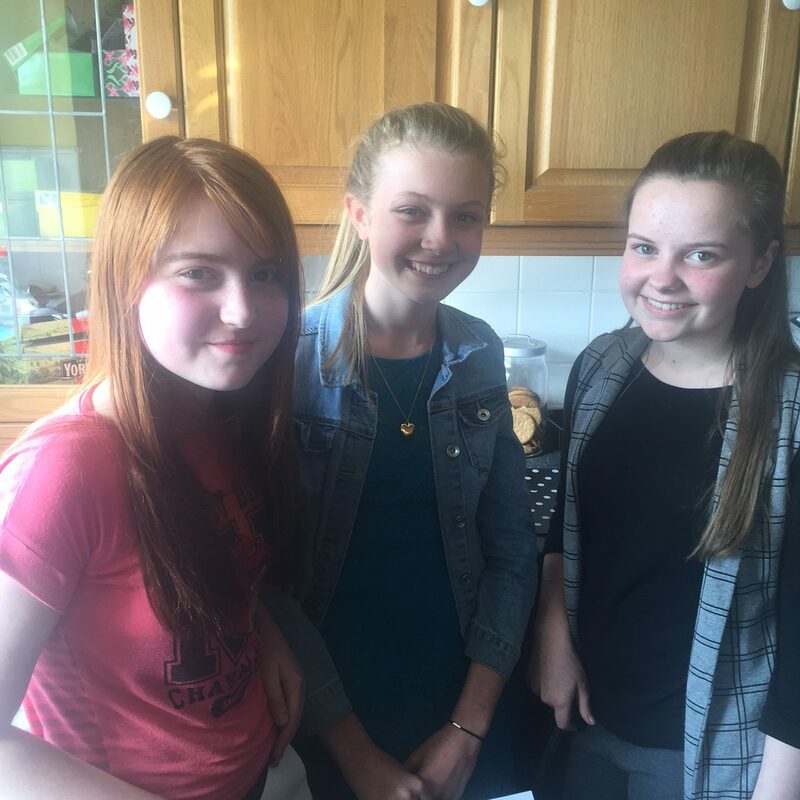 Scarlett, Millie & Yasmin on the day of their audition.